At Suburban Furniture, we carry several different brands of furniture and we know it can be hard to make a decision about which brand is right for you. We thought we’d help you out by giving you a little more information about each brand. Now you’ll be able to have brand information in one place rather than searching for several different websites! Today we’d like to feature Craftmaster. 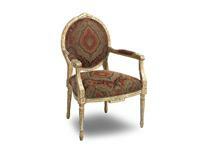 Craftmaster specializes in custom-order upholstery furniture that is fashionable, yet affordable. Its fine-quality products feature over 120 living room styles, over 100 accent chairs and ottomans, over 30 recliner styles, and over 1000 fabric options. Custom arm, back, leg, finish, and seam options are also available, making Craftmaster an industry leader in custom order! Founded in North Carolina, Craftmaster continues to be manufactured in the USA, and is proud to be the exclusive upholstery manufacturer of the Better Homes & Gardens Furniture Collection and the Paula Deen Home Collection. Craftmaster’s rich history of building quality furniture began in 1972 in the rural town of Taylorsville, N.C. In this region of the United States furniture is more than a business, it is a family tradition. The furniture manufactured in their North Carolina facilities is made the old fashioned way – by hand, with pride. Craftmaster was the vision of two native North Carolinians, Jack Stokes and Steve Lackey, who had a goal of building the finest quality upholstered furniture in their price range that is fashionable, yet affordable. The company has grown from 20 people to over 500 employees today. Many in the Craftmaster family have been with the company for over 25 years, some from the very beginning. Craftmaster was purchased in May 2006 by Samson Holdings and has continued to grow its business, making Craftmaster one of the most well known upholstery manufacturers in the country. The work ethic and pride in craftsmanship is alive and well in the foothills of North Carolina and is evident in every piece of upholstery that is made at their factories. They have over 400,000 square feet of manufacturing and warehousing and are the third largest employer in Alexander County. Custom Order is their strength – consumers can select the style and fabric that best suits their decorating need and order it through any of their 1,000+ retail dealers around the world and have it in their homes in a short period of time. Posted on September 13, 2013, in Brands We Carry and tagged craftmaster furniture, furniture stores nj, suburban furniture. Bookmark the permalink. Leave a comment.